A lot of us grew up being told it was better to give than to receive. That’s just not totally true. Here’s why. When you give and give and give without knowing how to joyfully receive you run out of something to give. Have you ever felt resentful about how much you give to so many people and how little you seem to get? I bet you have. See, learning to receive with great joy keeps the abundance of all that good stuff flowing into and out and into and out and into your experience. Giving is a powerful way to have more of the great experiences show up in your life IF you are good at receiving as well. Now I’m not talking about the “gimme gimme free free” mindset where people can never get enough free stuff or are always running from one place to another looking for something free. That’s all about lack, poverty and not valuing yourself or others. What I’m talking about is knowing YOUR worth and valuing both what is given and received. When you accept gifts of all kinds, whether they be actual stuff, compliments, money or kindness you are agreeing with the flow of abundance and inviting more of that into your life and the life of all those you interact with. Giving for most of us is easy, receiving maybe not so much. Think of being a good receiver like this; your arms and heart are always open and outstretched, embracing life and all it’s gifts with dance and song. Close your eyes for one minute and see you doing that, having that experience. Receiving is about having that experience right now, where you are, even if you don’t physically have it in your hand. Recently on one of my radio shows I used examples of how I won a few drawings for items I wanted to experience. I didn’t need them, or try to pull them to me. I felt them mine, I experienced having them before my name was chosen. That’s the how of receiving. Give, yes.. give from you abundance.. Receive.. yes.. from the place of knowing that it’s already yours. Play around with this imagination game and let me know how it works for you. I love comments. 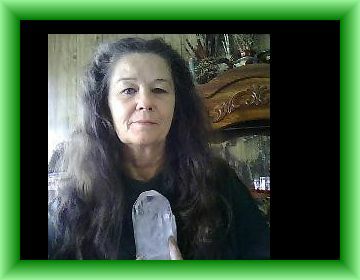 This is me, Donna DeVane with a manifestation crystal. I”ve worked with crystals and stones for many years and have learned a lot, about the crystals and myself. A manifestation crystal aids the process of bringing into form that which is wanted. It’s a focus tool, a spiritual meditation aid. YOU are the one doing the work. You are the creator. Working with stones and crystals over the years has helped me to better understand the process of creating. Crystals teach you about allowing the energy to flow in and through them so that creation takes place. The same is true for how you create. You know that life Source Energy flows in, through and out of you, bringing into form that which you are knowing, being. Just as light flows in and through the crystal it is always flowing through you. As you open your awareness to this power flow and direct it with beliefs, actions, statements of affirmations and knowing, it comes into form. Being open to the energy moving in and through you to do the work is key. It’s not your mind, your body, your hands doing the work first. Spirit is doing the work through you… Life Itself is the energy of creation, it’s moving in and through you, using your hands to bring physical form to your desires. Know that you are the fountain of Life Energy! Know yourself as Creative Energy! Now get to creating what you want to experience. Get your copy of A Journey Back To Self Today.. change your life… create on purpose! When my daughter was eight she was really into the process of creating one experience after another. You would no sooner finish one excursion before she was asking, “what’s next”? One day I pointed out that perhaps she should enjoy the experience before running off to the next one. She replied, “Oh I do enjoy the experience, but the exciting part is getting there”. She understood something most adults have forgotten. As creators we are all about the creation process. It’s not really the “stuff” we are after but the process of experiencing ourselves as the energy of creation. That’s why so many never feel that they’ve done or gotten enough stuff. When you place all the importance on getting stuff you just are not fulfilled for very long. Soon after arriving at one place your soul is urging you to create the next experience. It’s the process of experiencing ourselves creating that really does it for us. Simply by shifting your thoughts about things a bit you can enjoy your life right where you are while creating/attracting the next set of experiences. Start by accepting that creating is what you do, it’s Who You Are. There is no way around it, you are always calling things forth into form. Now for the really fun part. Begin seeing the fun in creating. Each thing that shows up does so due to your asking it to appear for you to interact with. Wow, that’s some powerful creating you’re doing. Be amazed at that for just a moment. Feel the energy of power moving through you. Now you are ready to take the next step. What are you desiring to interact with? Get clear about that part. Feel the creative life force stir within. Think about all the possibilities of creative style. You can go the long way around to your creation or straight to it. The long way allows you to bring forth lots of little experiences that might not be so pleasant… but you learn from them what you don’t care for much. The straight way may include some of the same experiences, but your attitude says that it’s all part of the process, showing you more and more who you are, what you are and allowing you the opportunity to experience yourself as creative power. This second way is the way of joy. You realize that the process of creating is the fun. This is why you chose a body and this planet. You want the experience of understanding yourself to be Creative Life Force in a physical body remembering just what a powerful creator you are. You can now easily let go of situations, things, people, places not in line with what you are desiring to experience right now. You can move easily through the process of creating enjoying each moment, knowing yourself to Be the power calling forth into physical form each and every event. Start where you are right now. What do you want? Who do you desire to experience yourself as Being? Make a few decisions and get to the creating process. Laugh a lot, smile often, hug people on a regular basis.. oh, yeah.. pat yourself on the back for a job well done. The law of attraction is often overlooked for regular day in day out stuff. Listen to the conference call where we discuss the LOA and weight, health, relationships, love, prosperity and much more. Creative Principle is the Spiritual understanding of law of attraction. Just thinking and feeling will not change your life much. You gotta BE.. This is the first time I’ve used this system, we had a glitch so the call is in two parts. Today is the perfect time for you to decide to change yourself and your life. 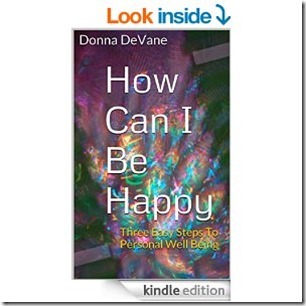 Coaching / healing is a powerful tool that allows you to access your answers within yourself. Working with a coach provides insight, intuition and guidance as you move through the limits and come into a limitless life style. I am presently offering you a try it for a donation of your choice. The donation is any amount you feel led to give. Giving makes you experience the reality of abundance and creates a foundation to your subconscious telling it you are serious about change. I generally can do the coaching / healing session within 24 hours of donation. This is a life changing opportunity for YOU.. it also makes a wonderful gift for others. You deserve the life you dream of.. let’s work together so that you can easily create just that life.